Modern music audiences might assume that the self-titled Fleetwood Mac was the band’s debut. It’s an honest mistake, founded in some sense of false truth: this is the Fleetwood Mac we all know. 43 years ago today, Fleetwood Mac cemented the band’s new sound, as two Americans— Lindsey Buckingham and Stevie Nicks— transformed the once-British blues band with their dulcet harmonies and acoustic arrangements. Together, theirs was an irresistible folk-pop, rocketing among the masses from Fleetwood Mac’s onset until today. The 1975 record saw the birth of classics like “Landslide,” “Rhiannon,” and “Dreams,”— all captivating tracks where Christine McVie and Nicks luxuriate in their gorgeous vocal runs and lyrics, with Buckingham’s slick guitar grooving underway. In honor of Fleetwood Mac’s birthday, you can listen here to original concert takes of some of these iconic tracks, recorded only months after their release. 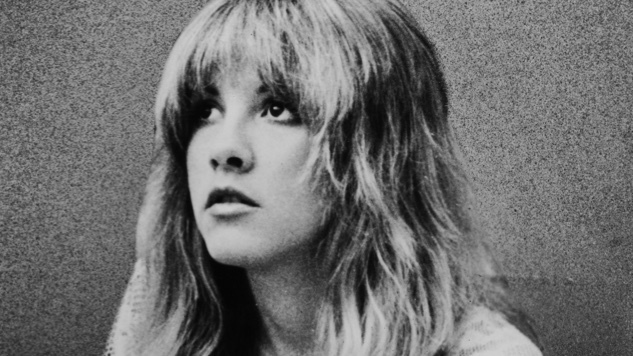 In this October, 1975 performance at Capitol Theatre in Passaic, NJ, we hear the freshly-formed Fleetwood Mac performing together for one of the very first times. Hear the historic moment for yourself, below.